Description: Holley’s Mid-Mount complete accessory system has all accessories pulled in tighter than other accessory drives. At the heart of the system is a “bracketless” design (Patent Pending), where the accessories bolt directly to the water pump for a clean, integrated form. The design offers superb engine visibility to show off your horsepower, not your accessories. Among the many swap friendly features are bottom heater outlets for clearance in tight applications. The Holley designed alternator is just as innovative. This premium alternator utilizes hairpin/square wire, 6-phase technology as found on the C7 Corvette. The water pump also shares its design efficiencies with that of the C7 Corvette. The compact and reliable SD7 A/C compressor and Type II P/S pump with baffled reservoir are also integrated. When we say “complete”, we mean complete. The Mid-mount system comes with everything you need. 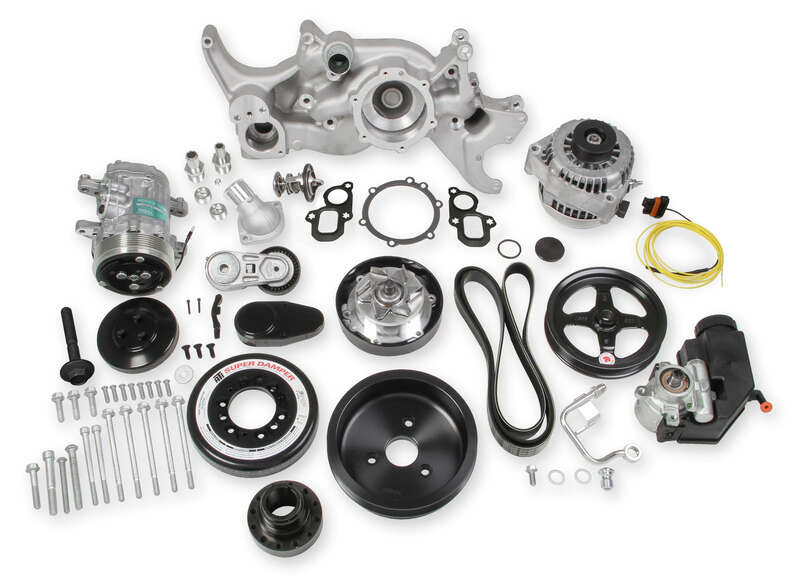 All accessories are included; the water pump, A/C compressor, Alternator, P/S pump with reservoir, and the crank damper. All pulleys and the belt are supplied. Even heater hose adapters, power steering to -6 AN hardline, and the alternator plug/harness are included. Easy assembly was a priority during the entire development of this accessory solution. Color graphical instructions walk you through every step of the ultra-easy installation. 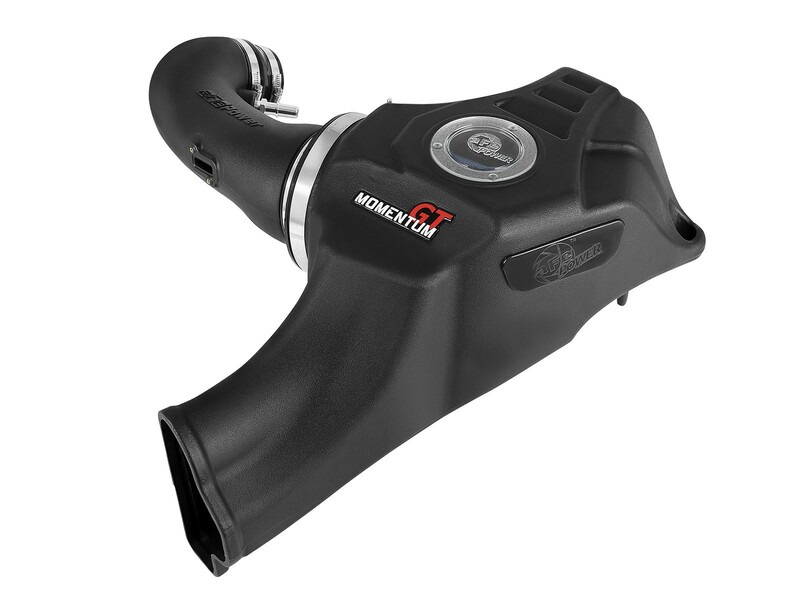 This Premium Mid-Mount system comes with dress up pulley covers and an SFI certified damper. Partnered with this damper is a billet 6061-T6 aluminum hard anodized crank pulley. This system is ready for the racetrack if you want to play or just be ready for anything on the street.